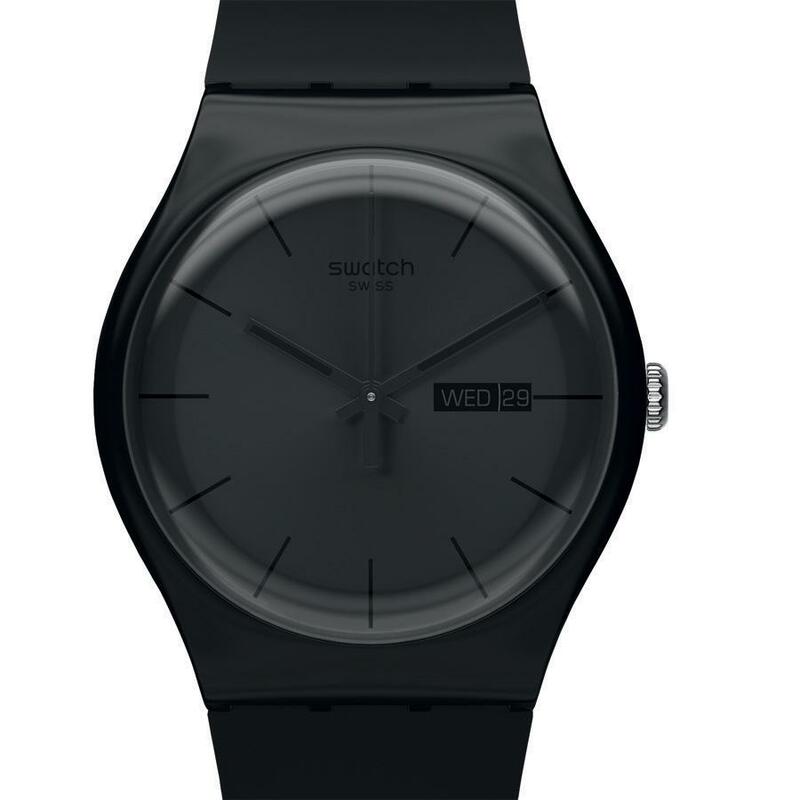 Watchuseek Watch Blog: Swatch: What kind of a Rebel are you? 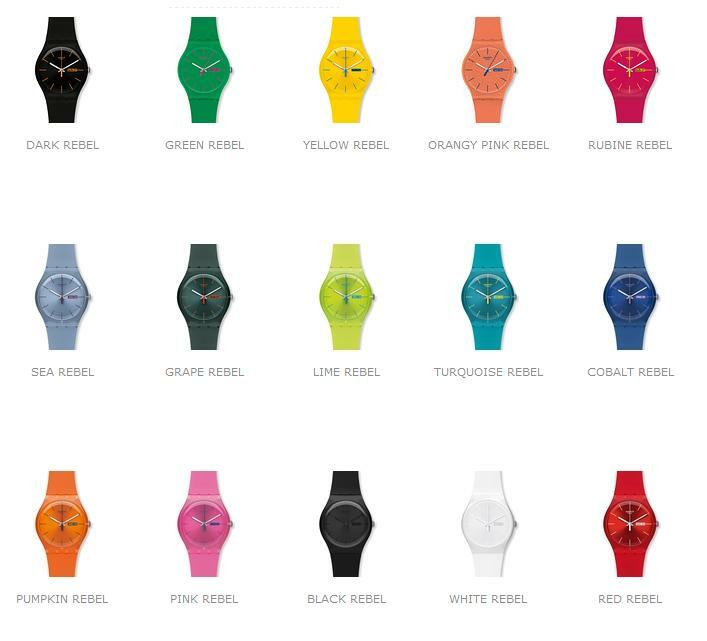 Swatch: What kind of a Rebel are you? With so many top end Swiss watches on offer, it’s easy to overlook the fact that many of them may not be in existence today if not for the incredible success of a simple fun fashion watch known simply as Swatch. Sales of Swatch watches came to the rescue of Swiss watch credibility at a time when it was needed most. A clever combination of marketing and manufacturing expertise restored Switzerland as a major player in the world wristwatch market. Synthetic materials were used for the watchcases as well as a new ultra-sonic welding process and the assembly technology. The number of components was reduced from 91 or more to 51, with no loss of accuracy. 29 years on from its launch, Swatch continues to turn out hundreds of cool, collectable, affordable watches for those who either want a second watch (the ‘S’ in Swatch stands for second – Second Watch – Swatch)or for those who simply want a fun and uncomplicated timepiece. The new Gent collection is in many respects classic Swatch, full of choice, brimming with colour, but with a bigger, bolder more masculine design. Also these simple three hander watches come with day/date at 3 o' clock. If you are seeking something more zany or more topical, Swatch has it covered too. Swatch Bengali is bound to attract attention everytime its worn. 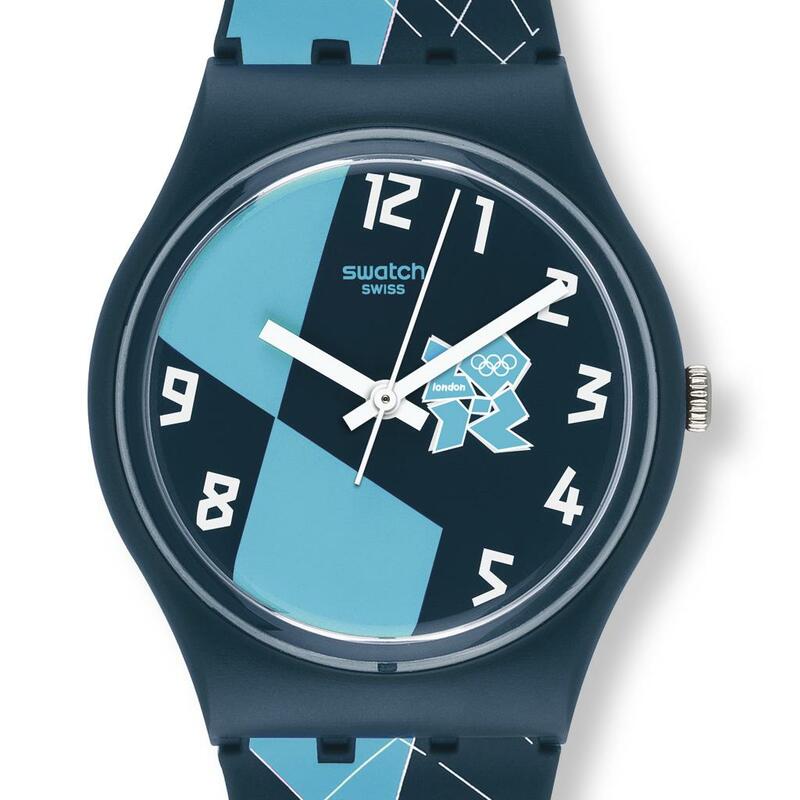 And the Swatch London Olympics watch, bearing the frankly ghastly London Olympics logo, will be a talking point for at least the time that the Games is taking place. Swatch provides more choice than you could ever want. They run on a Swiss quartz movement and water resistant to 90 feet. They come on a silicone strap, and should the battry run down, it’s really straightforward to replace. 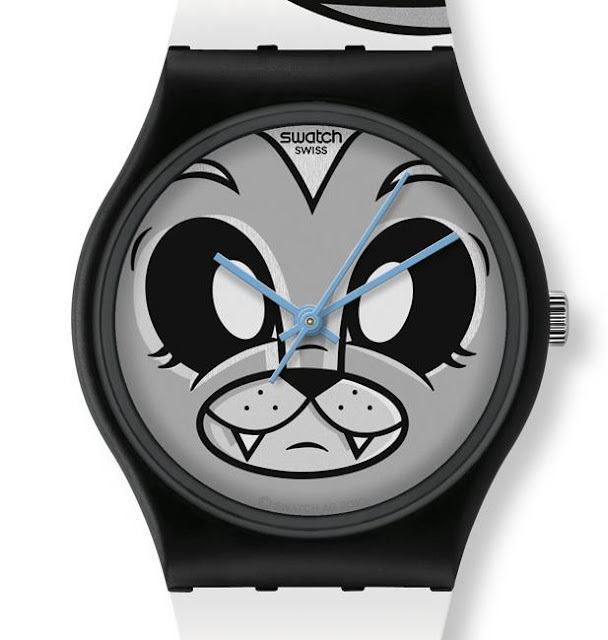 Next year will be the 30th anniversary of the launch of Swatch, and no doubt some special commemorative and limited edition models are in the works.